Being a successful businessperson, or even just an employee of a company, requires that you take responsibilities and do your job the right way. However, how exactly do you handle too much work in the days when you have an array of activities to do? 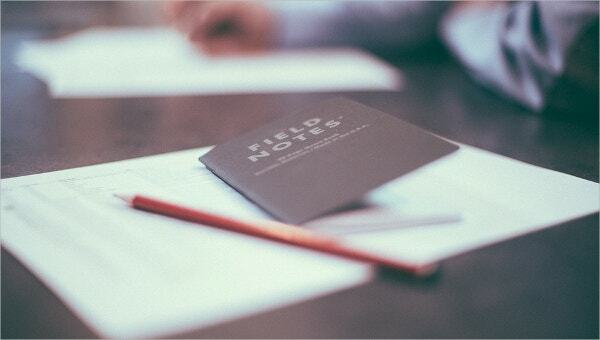 It seems that the only best way to do great work, as such, is to create a comprehensive to do list, a simple document meant to guide you through the systematic execution of tasks. Of course, creating a work to do list can save you a lot of time and energy. You may also see Class List Template. Without this template, there would be too much room for guesswork, and this, in turn, would make it difficult for an employee to do great work. 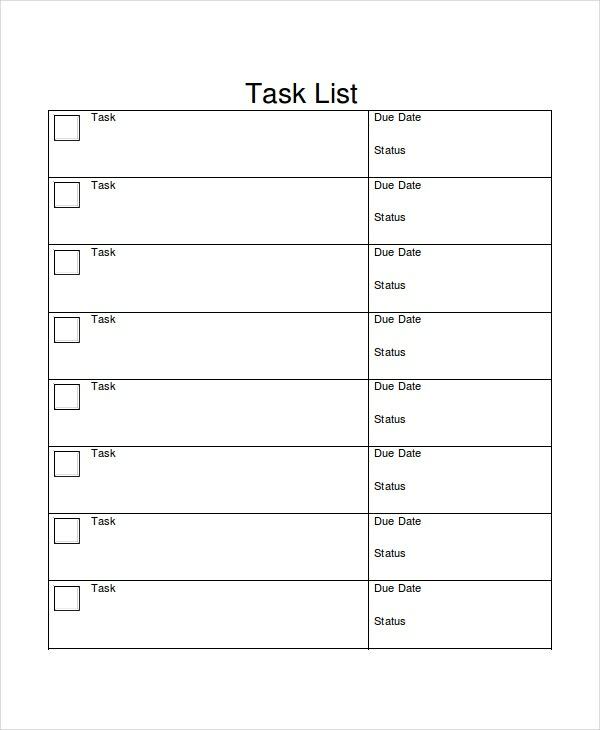 Therefore, use this template to organize tasks efficiently. You may also see Punch List Template. 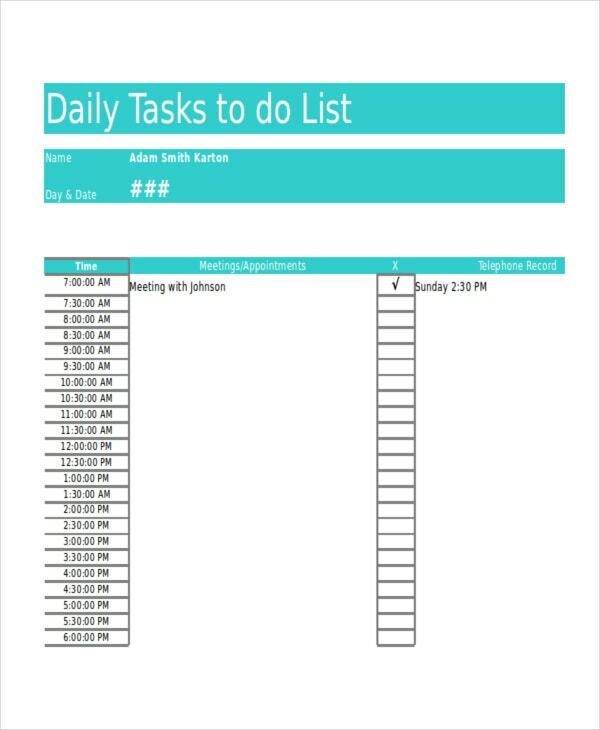 The work to do list template is customizable and print ready. Use this template to organize your schedule in an appropriate order. Organizing your work will make it easy for you to focus only on what matters. This template can help you prioritize your work. By arranging your work in the order of priority, you will not only be able to finish tasks faster, but also do great work without missing deadlines. If you don’t want to miss important deadlines for work, create a work to do list by downloading and customizing this template. The benefits of using this template include saving time, money and energy. Did you know that you could use this template to enhance personal productivity at the place of work? All you need to do is to download, customize, and start using this template to plan your work. > Why do You Need a To do List? There are days when you have a lot to do, and without a To Do list, it may be difficult to get it all done. The cases of missed deadlines, mishandled assignments, or incomplete tasks are quite common. And the reason for these inconveniences is the lack of a work to do list. You may also see Snag List Template. Even if your schedule looks so overwhelming, and you are wondering how to get too much work done, you can use a work to do list template to change the way you do your work. People who use the work to do list never struggle to meet deadlines and always do great work all the time. > Can a Work To do List Make an Employee Organized? People try to find reasons for using and not using particular resources. One of the most useful resources is the work to do list, but, of course, you won’t find employees using this in your company, either because of the ignorance of benefits or the traditions of random routines. You may also see Best To Do List Templates. 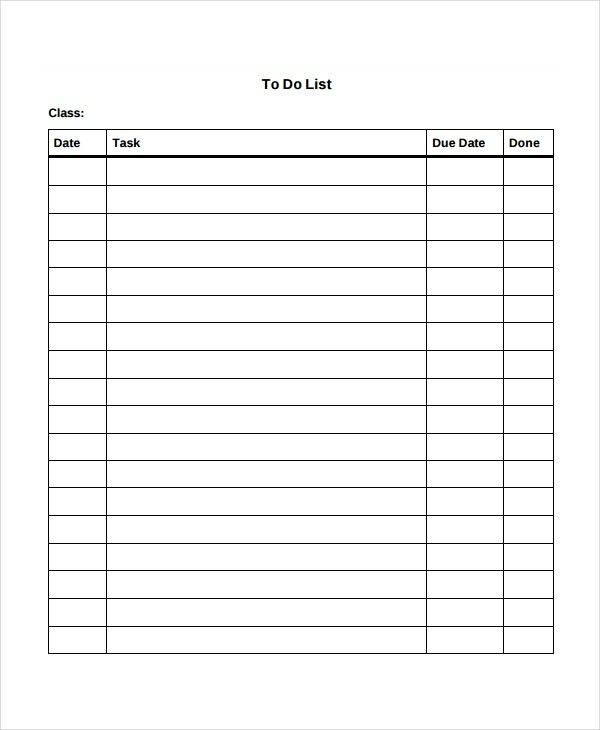 However, it is important to know that if you – seriously – want to be an organized employee at the place of work, whether you are working on routine jobs or special assignments every day, you should use a printable work to do list template. Being organized means dividing your tasks into manageable units and that makes it easy for you to feel more grounded than you would without a work to do list. > Is a Work to do List Going to Improve Your Memory? It is easy to forget things; it’s human nature. Everyone forgets to attend to important things sometimes, but that does not mean they are ignorant. As such, there needs to be an easy way to help you remember things and improve your memory. The work to do list can help. You may also see Email List Template. As long as you do not forget to look at the list, you won’t have to worry about forgetting things, at all. The list has everything you plan to attend to in the record, so even if something slips your mind, you can always look at the To Do list to refresh your memory. 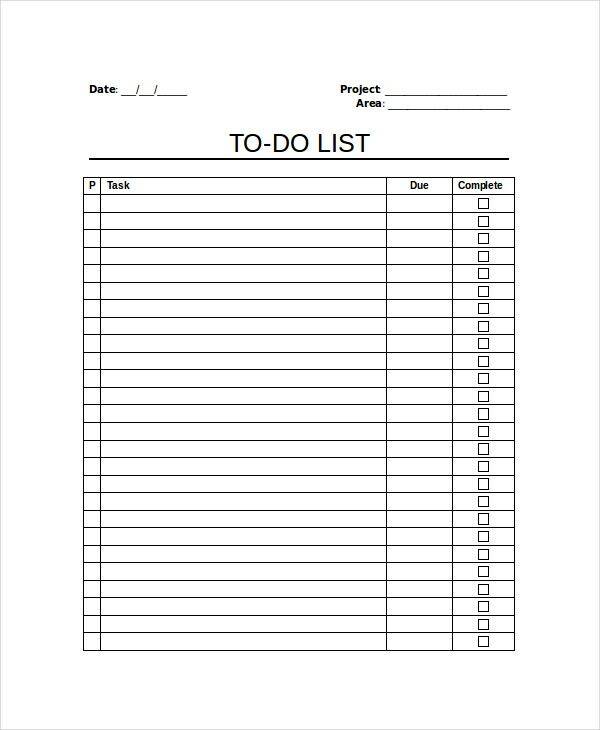 As such, work to do list template will improve your memory. The real reason why so many people waste time at the workplace is that they do not have a suitable schedule to help them handle a lot of work on the go. Of course, lack of a work to do list template often leads to problems like remaining behind schedule, failing to deliver results, or submitting bad work. The template can help you avoid all these inconveniences.